CORRIGAN, Texas - Three PolyPatch robots scan wood veneer for imperfections during production. If a defect is found, the robots repair it. Operating under the guidance of specially-trained technicians, these robots increase production efficiency while helping to create a better-finished product, says Georgia-Pacific. 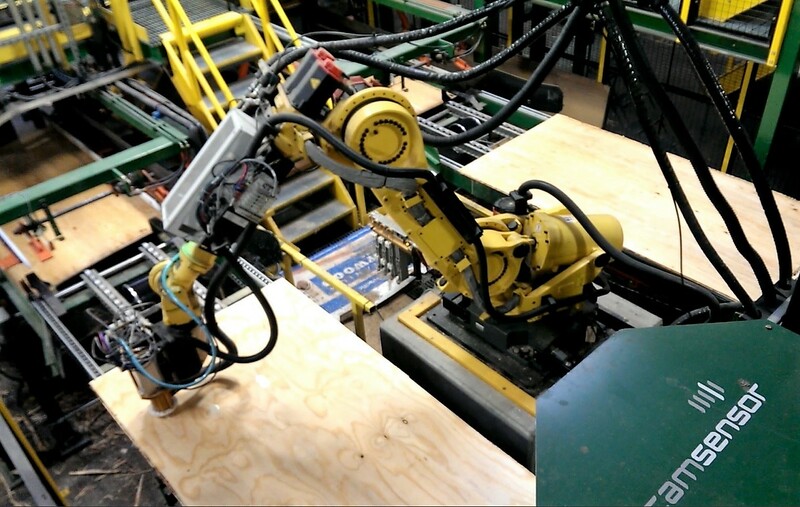 “Our robots can handle 525 plywood panels in one hour—about 1 panel every 20 seconds,” says J.T. Lee, a robotic technician at the company's plant in Corrigan, Texas. "Normally, it can take twice that amount of time to treat the same number of panels." The PolyPatch panel repair system is made by Globe, a machinery maker focused on the panel and door manufacturing industries. 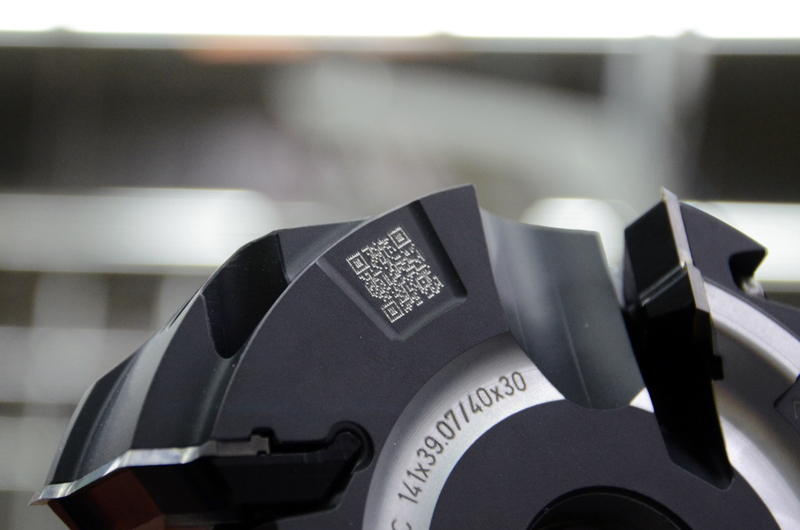 The patent-pending system features scanning technology from Camsensor, built-in intelligence, a touch-screen operating pad, a scanner, and 2D and 3D capabilities. 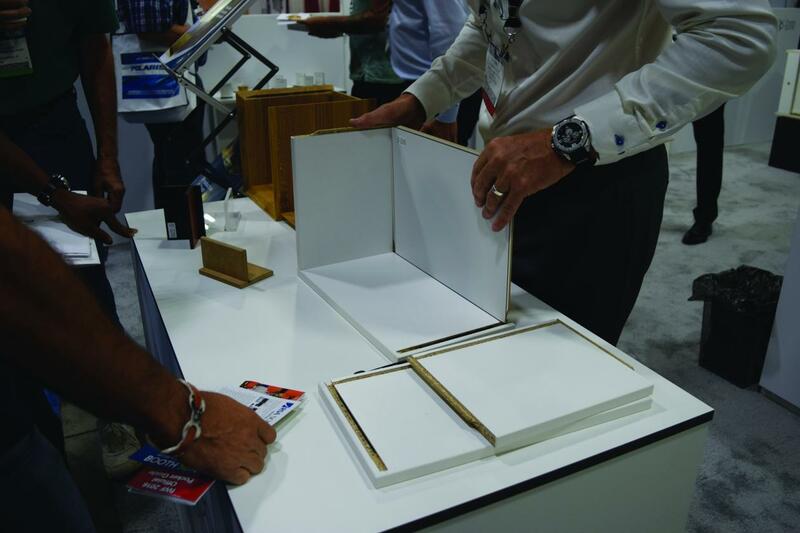 In most wood manufacturing plants, the PolyPatch responsibility is handled by up to four workers who are stationed on the line determining where the glue-like filler is needed and using it to repair the wood panels. By investing in PolyPatch, Georgia-Pacific is able to reduce the number of employees needed in this area to two. “Our employees, who have received specialized training on the robotic PolyPatch system, are now responsible for monitoring gauges and controls that run the technology," says Corrigan plant manager Chris Bluethman. "The robots perform the tedious and repetitious work while employees are tasked with more engaging work." With this modernization, employees have either advanced as robotic technicians or have assumed different roles within the plant. While technology can sometimes be a threat to those on the front lines within the manufacturing sector, Georgia-Pacific is optimistic the new robots will have an opposite effect on workers. “New technology can challenge employees and give them the opportunity to grow their careers. 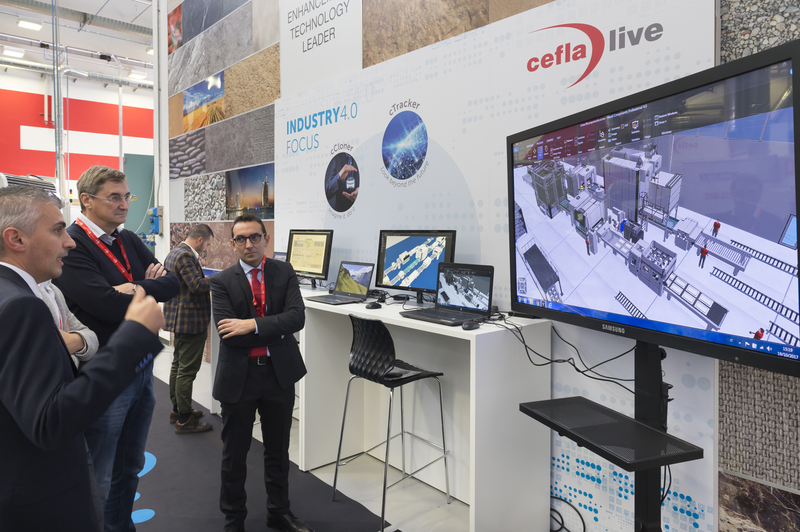 By adding robots to our assembly lines, it is our goal to provide more meaningful work which leads to greater job satisfaction,” said Bluethman. While the PolyPatch robotic system has been a big success in Corrigan – GP’s highest-volume specialty plant – due to cost constraints, it’s not a viable option for other locations in its current state. But the company is working on a simpler version that can be utilized by other facilities in the future. Based in Atlanta, Georgia-Pacific and its subsidiaries are among the world's leading manufacturers and marketers of lumber and composite panel products for use in cabinetry, furniture, casegoods, closet systems and other wood products. The company is currently building a $135 million 340,000-square-foot softwood lumber mill in Georgia.